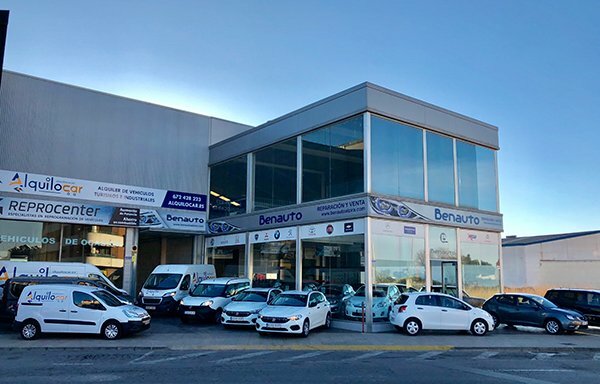 We are a company with more than 40 years in the automotive sector, with experience in sales, workshop issues, reprogramming and also car rental without a driver. Nowadays companies need mobility that is adapted to the circumstances of the work they are doing, being able to budget and optimize resources by adjusting their prices to be competitive and making the budgets profitable. The best way is to rent vehicles, both industrial and private cars,and once the work is finished, returning the service contracted without paying any additional costs, limiting expenses and controlling budgets. In order to meet these needs we have industrial vehicles of every size, as well as a variety of cars in several engine categories which are carefully reviewed in our facilities and come equipped with navigator, roof support, lined etc. In Alquilocar we have a professional and qualified human team to attend you, to make a budget and to offer rental vehicles, giving solutions to companies and individuals alike. Rent your vehicle easily, quickly and economically through our website and take your vehicle perfectly reviewed in our own workshop. We are a company with more than 40 years of experience in the automotive sector. This allows us to offer you a service with the best service and guarantees in the market. Passenger cars and industrial vehicles of all sizes to be able to adapt to the needs of your company, helping you to give a better service to your customers.